A will contest or will challenge is a lawsuit brought in the probate court to test whether the will is valid according to the law. The people who most often contest a will include the beneficiaries of the deceased person, especially the deceased person's children. Adult children may file a will contest on their own behalf, but children under the age of 18 will need to be represented by their legal guardian, according to Lawyers.com. To contest a parent's will, a child must have standing, or have something to win or lose depending on whether the will is valid, according to FindLaw. Since state law regarding inheritances usually makes provisions for children if there is no will, children, including adopted children, generally have standing in most states, according to Lawyers.com. Although both adult and minor children usually have standing to contest a parent's will, they may find their case dismissed if they have no valid reason on which to base a will challenge. Merely not being mentioned in the will is rarely a valid basis for a will contest, according to Lawyers.com. Rather, a child who wants to contest a parent's will must argue that the will is invalid either because his parent was incompetent to make a will; his parent was forced, coerced or tricked into making the will as she did; or the will was improperly altered, such as by forgery, according to FindLaw. An adult child may file a will contest against a parent's will by himself or may hire an attorney to do so. 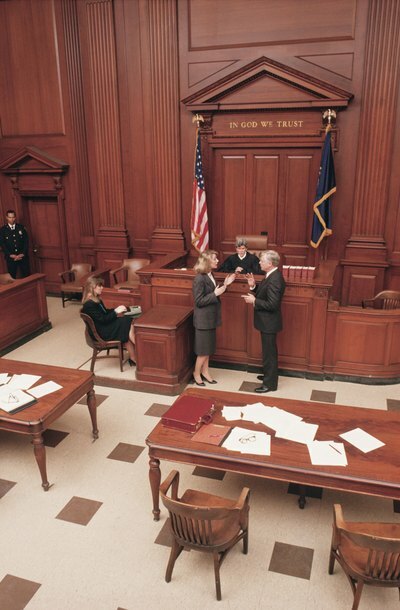 However, a child under the age of 18 must have the will contest filed on her behalf by her legal guardian, according to the Connecticut Probate Courts. Minor children who have not been emancipated may not file lawsuits or hire an attorney on their own behalf because children are not legally competent to file suit in court or to make the contracts required to hire an attorney, according to the Connecticut Probate Court. A will contest filed on behalf of a minor child may, however, contest the will on any grounds an adult child could use to contest the will. In most states, a will that simply does not mention one or more of the deceased person's children will be assumed to have omitted them by mistake, according to FindLaw. In these cases, the probate court will usually grant the omitted child or children a portion of the estate. If the will specifically mentions that a child has been left out on purpose, however, a will contest is unlikely to succeed because a parent may deliberately leave a child out of his will in most circumstances, according to Lawyers.com. Also, the will may contain a "no-contest" clause, which forces the child bringing a will contest to give up his entire share of the estate if he loses, according to FindLaw. A no-contest clause makes it risky to bring a will contest if the child has already been given some share of the estate. Can I Contest My Dad's Will? Lawyers.com: Can Children Challenge a Father's Will? Attorney Barry Peters: Can I Leave My Child Out of My Will? ABA Family Legal Guide: How Can I Plan to Avoid a Will Contest? Generally, a deceased parent has no obligation to leave property to her children. In fact, nearly every state allows a parent to completely disown her children in a will. If a parent did not leave a will, however, children may have rights to property as dictated by state law. Additionally, children are considered "interested persons," meaning they have a right to contest a parent's will if they have valid grounds. A will contest or will challenge occurs when someone files a lawsuit in court stating that he believes the will is invalid. Wills can be found invalid by courts for a number of reasons including that the will's maker was incompetent or forced to leave or not leave certain property to certain people, or that the will itself does not follow the state's laws for valid wills. Although estate laws vary somewhat from state to state, they all have some criteria in their legislation that must be met before anyone can contest a will. Generally, these statutes include a provision that you must “have standing” or be an “interested person” in order to challenge a will. The will must have financially harmed you in some way, or you must have some financial interest in the deceased’s estate.